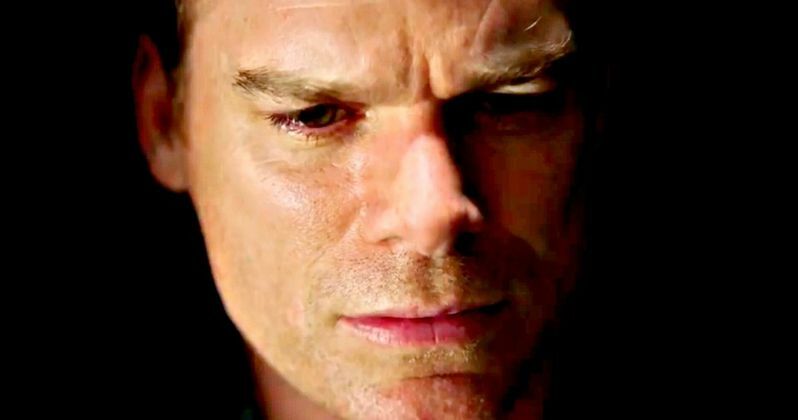 Michael C. Hall returns to the small screen in new thriller series, Safe. Netflix has just released the first trailer and it's pretty intense, teasing viewers to binge watch the thing when it's released in May. Safe was created by best-selling novelist Harlan Coben, withthe show is set in a wealthy gated communit. The new trailer uses this to its advantage, commenting on the relative safety of living in a closed off world. Netflix's Safe takes place in the U.K. and sees Michael C. Hall (Dexter, Six Feet Under) acting with a British accent. Hall plays Tom, a pediatric surgeon and single father of two teenage daughters who is struggling to deal with the loss of his wife, who died from cancer over two years ago. Tom is living and raising his children in a beautiful gated community surrounded by close friends, but that all begins to unravel quickly, as everything in the community comes into question when one of his daughters goes missing. Michael C. Hall is a different kind of intense in the new trailer for Safe, much different than he was on Dexter, but that's to be expected. When Harlan Coben was coming up with the story for Safe, he was thinking of safety and what it means to be safe. The wealthy gated community gets turned upside down in the thriller series, which was guided by a simple, but at the same time, difficult question that Coben asked himself over and over. He explains. "Sometimes we build fences to keep the bad out, but what happens when we trap the bad in?" It's this question that guided Harlan Coben through the creation of the story. The question also goes a long way in pointing to the direction of the show. While the story for Safe seems cut and dry, Harlan Coben promises that there are major surprises and twists in the new series. The show consists of 8 episodes and as stated earlier, Coben declares that it was written to be binge watched. And after checking out the trailer, that fact becomes immediately evident. Coben also teased the finale of the show, noting that there's a pretty big shock. He had this to say. "The ending will shock you. Yes, you hear that all the time, but I think Safe will really take you for a fun ride." Safe is a return to Netflix for Michael C. Hall who appeared in an episode of The Crown as President John F. Kennedy in Season 2. Hall also recently had a role in the black comedy Game Night as the Bulgarian and will appear in The Gettysburg Address documentary as the voice of Leonard Swett later this year. Swett was the civil and criminal lawyer who advised and assisted Abraham Lincoln during his presidency. Safe will premiere May 10th on Netflix and you can check out the first trailer below, provided by the Netflix YouTube account.